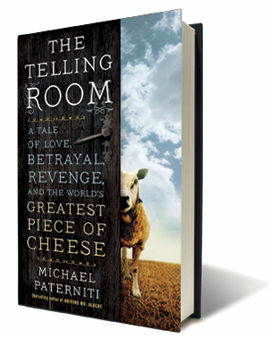 Our sponsor this week is a fantastic new book from Longform regular Michael Paterniti, The Telling Room: A Tale of Love, Betrayal, Revenge, and the World's Greatest Piece of Cheese. Paterniti spent years visiting a picturesque Spanish village, unearthing a remarkable story of secrets, murder plots, blood fueds and, yes, a very tasty piece of cheese. George Saunders called The Telling Room "a wild and amazing ride." Susan Orlean said it was "a marvelous tale and a joyful read." We say it's excellent. And it's out today.